Please note this is a pattern review that has not been asked for and is my own choice to write this up as I recently used this product. After buying this outlandish but oh so pretty fabric I asked around for a dress pattern it’s too nice to have as a simple tee in my opinion the Sweetheart Dress was recommended to me. 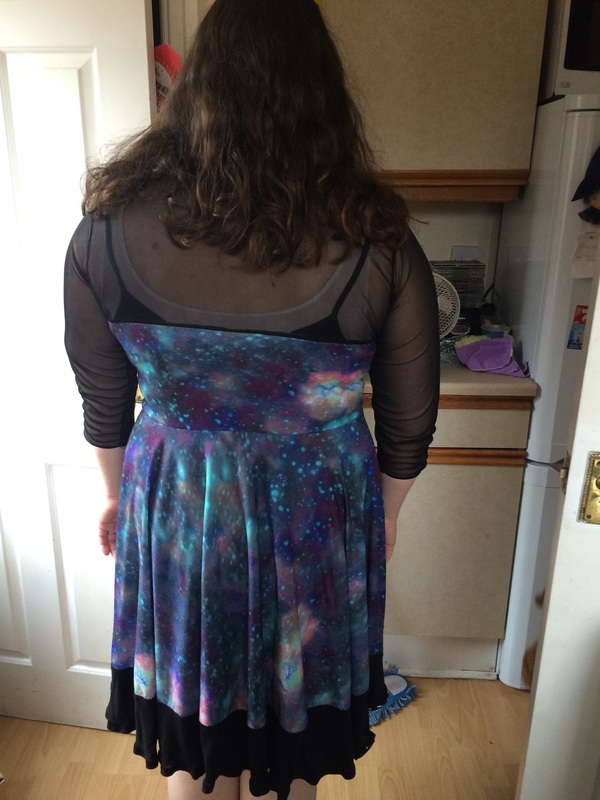 On the listing page you can see examples of dresses made by testers who are many sizes! PERFECT! As a non slim girl I find it difficult to commit to patterns not knowing if they’ll cling and look awful or tent out and make me look like a human brick. Adding fabric, notions and pattern this dress cost me around £30 to make so certainly not cheap but it’s unique and would cost me 3 times that to have it hand made for me. 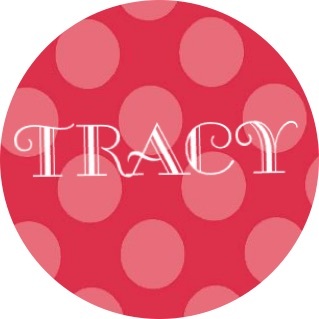 Lots of combos- you can make a peplum top, dress, racer back versions, colour block versions and solid versions. If you’re crafty you could even make a simple tee or tunic from it. I found the instructions didn’t give enough of a comprehensive list of materials I could use especially for the mesh/lace option and not being that up to date on all the various kinds I was bit confused without doing bit of research. I didn’t have enough fabric for the full skirt so had to cut as 2 half circles and sew together then I bought extra for a black hem. Next time I will only buy a fabric that I know is enough fabric to fit it all on. The part I loved the most about this pattern was the finishing of seams. I have never come across this method before but it will no doubt be my new go to method for sure. You layer your edge with the wrong edge against the fuzzy side of fold over elastic (FOE). Now I will say in past I’ve had a hate- hate relationship with FOE and was a tad unsure but me being me it sounded cheapest and easiest option. You match the edge with the subtle line that runs through the elastic. Zig zag stitch the hem and elastic together. Once complete fold it over at the middle line and sew in place. 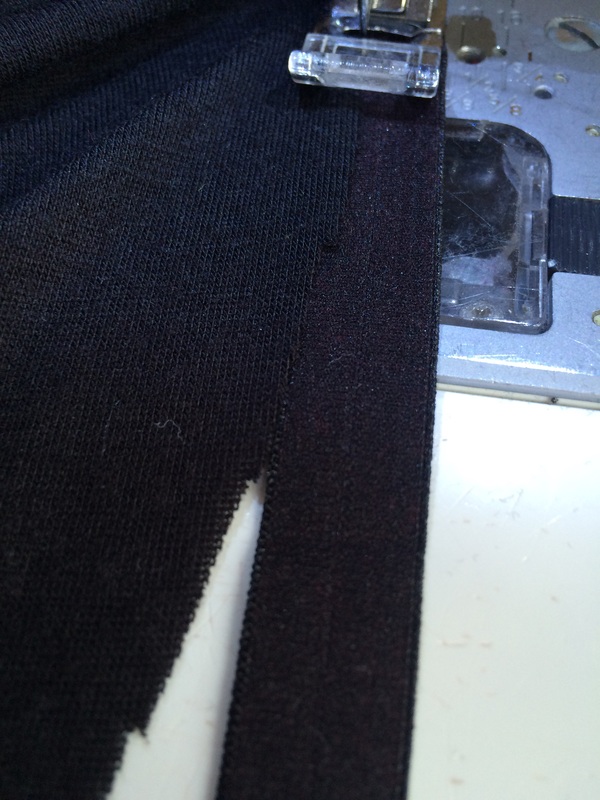 You end up with the shiny side finishing your hem/edge and looks beautiful! 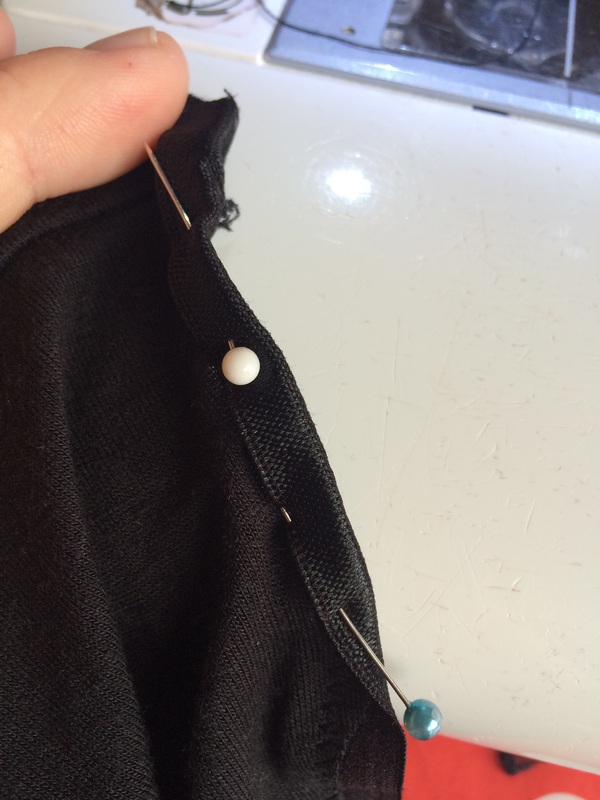 It’s so easy to do as well and because you sew it to the wrong side the zig zag stitch is hidden inside. Great for necklines and hems you just don’t stretch it for hems unless looking for an unusual look. Here it is. Excuse the fact I wasn’t photo ready and the cat is wrong way round. 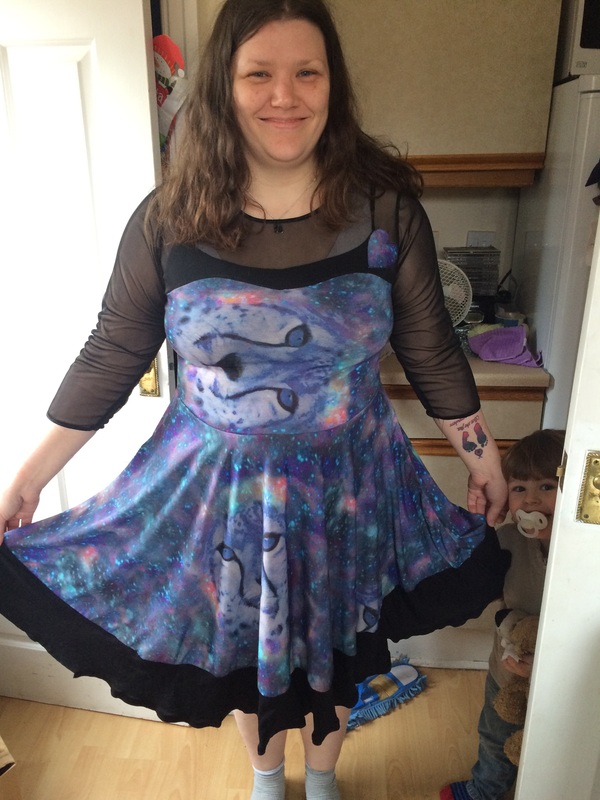 I love the fabric but in hindsight I would have needed about 3 metres of it to make this dress work as it should have with no sideways cat faces. Saying that I don’t regret the make and will still wear it endlessly.